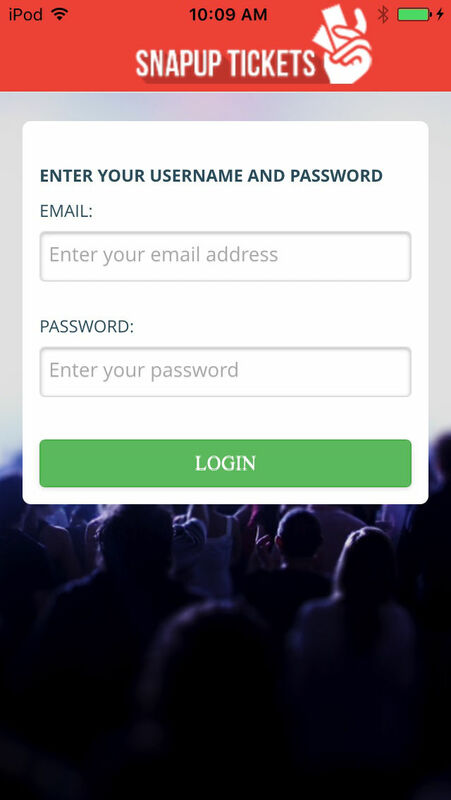 Snapup Tickets has developed a quick and easy way to verify ticket sales on-site at your event with our new Snapup Tickets iOS mobile app. The app provides functionality for event organizers to scan and verify tickets for any of their live events on the Snapup ticket platform. Scan rates as quick as 2 seconds per scan combined with real-time database updates mean that multiple check-in staff can use the app simultaneously while ensuring no duplicate entries can be made from any ticket. 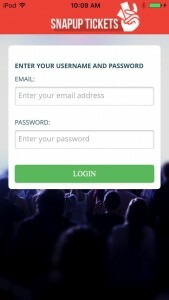 This ticket verification solution is geared for any public event including festivals, bars and lounge special events, sporting events and tradeshows though it will address verification for any type of event used on the Snapup Tickets platform. Snap Up Tickets is an online ticket selling and registration system designed to allow the user full access to create, manage and share their very own event. This website based application comes with useful administrative tools to help manage, track and query event activities and registrant data. With online registration forms that are immediately available and secure online payment services, your online event will be ready to go in a snap. Snapup Tickets is a wholly owned product developed by D. E. Systems Ltd. This entry was posted in Blog and tagged mobile app, snapup, tickets, verification by David Dugas. Bookmark the permalink.